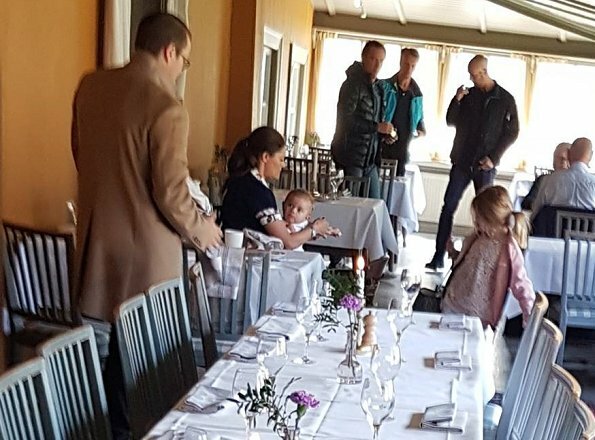 OMG …… are we now going to follow, read and see pictures every time the Swedish Royal Family visit a restaurant PRIVATELY, last time a week ago, it was Sofia ???? Snäcks... Really? Here is 15 stories about Victoria during last 30 days. What you want, full time monitoring? No, not at all, no fulltime monotoring, but being Swedish and living in Sweden, we don't see too much in our papers what missions the royals are on. And that's for all of the family. I know perfectly well that there is a schedule on the royal homepage but what I mean is that the papers (not the tabloids or the colored press) don't report too much about their work. And compared to the British, Danish royals it's really poor. Du courage,parce que pour moi le restaurant avec un bébé c'est une galère ! I am interested in Royalty and i like to see everything they do, so please keep posting all that is possible. Il faut bien que de temps en temps ils vivent comme tout le monde. I agree, the press is far too intrusive, this couple simply cannot live like everybody else. The media should remember that Princess Diana's fatal car crash was because it was followed by a screaming horde of paparazzi. Yes, especially because the kids are involved. WA and Maxima are so right rigorously protecting their daughters' privacy. The Swedish press is comparatively nice towards the Royalties here in Sweden. Die 'Carolinen' Urteile wurden durch die cell phones obsolet. Geht man in die Welt, ist das Foto nicht weit. Ich würde mir wünschen, Presse, Blogger, Landsleute würden es nicht publik machen. Im Lutherjahr darf man ja fromme Wünsche haben.